Are you a fashion lover? Or are you just looking for tips for daily styling? Fashion bloggers have an answer to all your questions. They’re making great use of the communication medium to spread their knowledge and share information with people. 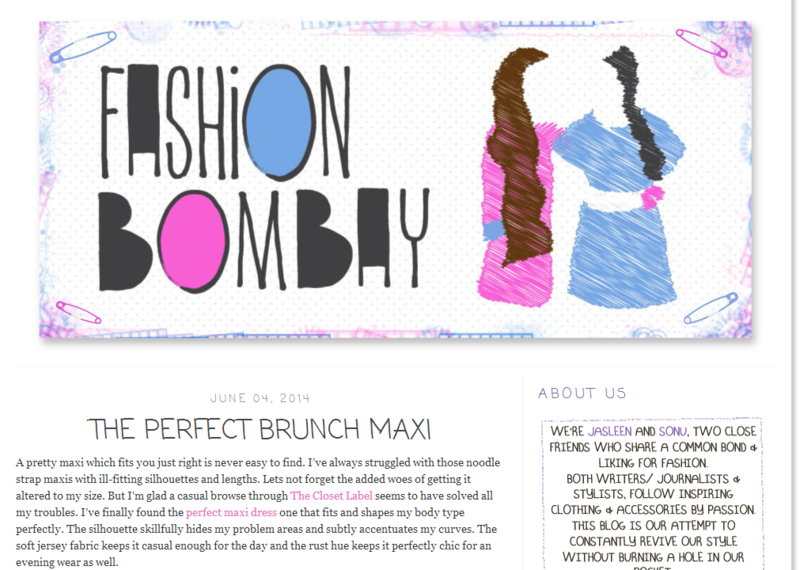 Shalini Chopra and her blog is the talk of the fashion town. She hails from Bangalore. She is stylish, trendy and her goal is to make everyone like that. The section on her blog, Lookbook, is the best part of her blog. She also lets her readers shop from her wardrobe. Rasshi has done her Masters in Fashion after graduating in Literature. 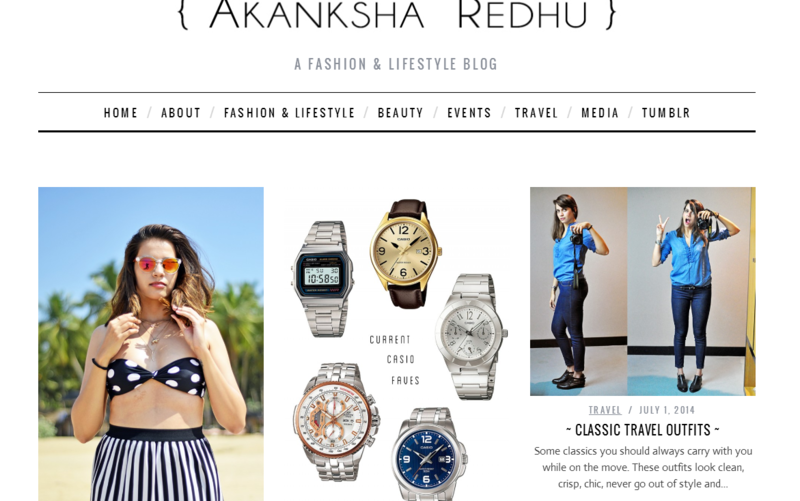 The best part about her blog is that she compiles it all in an organised, uncluttered manner which makes it look like a smooth walk through the blog. The hair and skin section in her blog is the part everyone raves about. Gia Kashyap is a sassy girl the founder of Gia Says That. She loves to doodle and her books were always full of drawings. She used to work as a graphic designer since 15. At 18, she started her T-shirt business and she is currently working on this blog. The blog focuses majorly on make-up and hair to go with every look you sport. Magali Vaz is an Amachi Mumbai girl. Professionally, she works as a digital media consultant and manages social media for a few brands like Tresmode. She is also a photographer and loves blogging. Jasleen and Sonu are two beautiful ladies. Their blog has a very homely feel to it. These stylists believe in recyclable, affordable fashion. The articles they write propagate their thoughts. Manvi Gandotra is a Fashion Designer with years of experience in designing at a boutique run by her family. She started this blog to make fashion more accessible to women and she wants her blog to be a single source of immediate useful information to her readers. She hopes that readers enjoy reading her blog as much as she enjoys writing it. They term themselves as extremely bitter, complexed, sociopathic loners. They started blogging in 2007. They have always loved fashion and decided to be vocal about it with this blog. Shaily Khera is a fashion enthusiast. Currently, she is pursuing her M.Sc. in Fashion and Technology. She started this blog with a view to create a community for like-minded people. This blog is her attempt to share secrets of fashion which one can afford without burning a hole in their pockets. Mehak’s blog has the cutest name. She is a 25 year old Delhite. She is an economist by education and blogger by profession. This blog was started in 2011. Their main motto is to create a super fun, informative and super addictive space which people feel like coming back to. Again, meet a new duo of fashionistas – Rashmi and Jyoti. They both hail from Delhi. Rashmi is a banker by profession and economist by education. Jyoti is a commerce professional as well as a freelance fashion designer. They both are crazy about fashion. Hence, the blog. She is a dreamer who loves cocktails, hence the name Style Cocktails. For her, the world is her ramp. She also has a weakness for cheese and is a self-confessed shopaholic. She is a social media geek by the week and a fashion blogger over weekends. His real name is R V Purusothaman. The blog is named after his pet name and was started in 2009. He is a fashion designer who is currently based in Mumbai. He is an expert in areas like fashion illustration, draping, pattern making, history of costume and fashion, etc. He started this blog to record his journey while he was studying in NIFT Delhi. He usually listens to the evergreen Beatles, Ilayaraja, A.R.Rahman and has recently been into Psychedelic Trance; he is also a crazy admirer of Kamal Haasan. He is a widely published luxury writer and has established himself as an authority on all things related to luxury, travel, food and style. He feels his experience as the Culture Editor at L’Officiel India has helped him sharpen his ‘Eye’ on the world. Here, on this blog, they feature articles from boutiques to the latest designer collections, from the must-have accessories of the season to exclusive interviews with the world’s leading chefs, etc. She comes from the ‘City of Joy’- Kolkata, India. She is 18 and is currently pursuing B.A in Communicative English. She talks a lot and is known as a lunatic. Her blog was earlier know as Stilettos and Tequila but it is now known as The Stilettosaurus. She started this blog so that one could celebrate fashion, individuality and life as it is. She is also from Delhi and a true cosmopolitan who loves to design, travel and drink coffee. She is a defiant stylist and fashion designer. For her, fashion is fun, spirited, fortifying and a window to the soul. 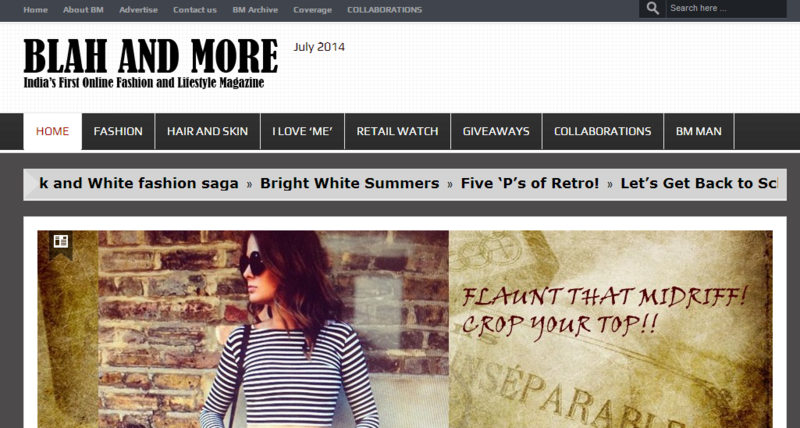 Her blog is a Fashion Blog and Style Blog focusing on the latest fashion trends, styles and beauty tips for women. She loves day dreaming. When she is not busy blogging she is making accessories for her brand, ‘CIRARE’. It started out in summer 2009 just as a way of expressing her ideas but has evolved with time and has become more of a fashion and lifestyle blog lately. She is from Hyderabad. She loves to read books. She is a travel buff and a finance graduate. This blog started out as a personal blog and went on to become a fashion & lifestyle blog. This blog is a place for her where she likes to chit-chat about random things while being a mom all at the same time. As a person, she believes that style is something very personal and is beyond bump and baby, beyond shape and size.